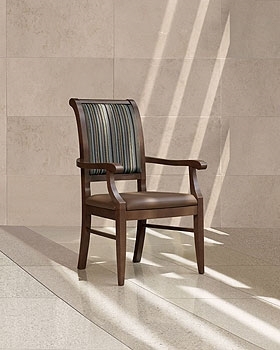 Featuring a distinctive rolled wood top rail on the chair back. Phoenix's elegance is further enhanced by beautifully accentuated curves on the armrests and legs. The extended armrests help users to firmly grip the chair when exiting. Additional leg support bars on the leg frame maintain the aesthetic beauty of the armchair.